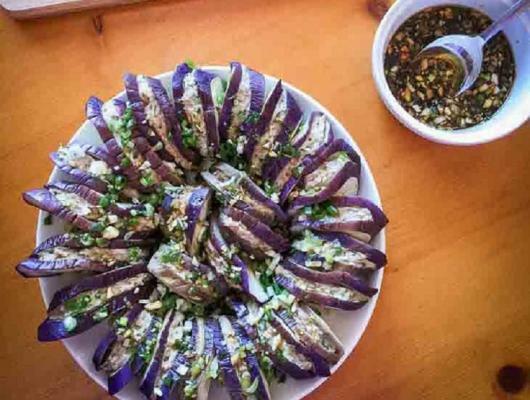 Cut the eggplants into 1-inch thick slices. Then make a small cut through them to form “burger buns” that are still joined together. To make the dipping sauce, mix together the garlic, tamari sauce, sesame oil, and vinegar in a small bowl. 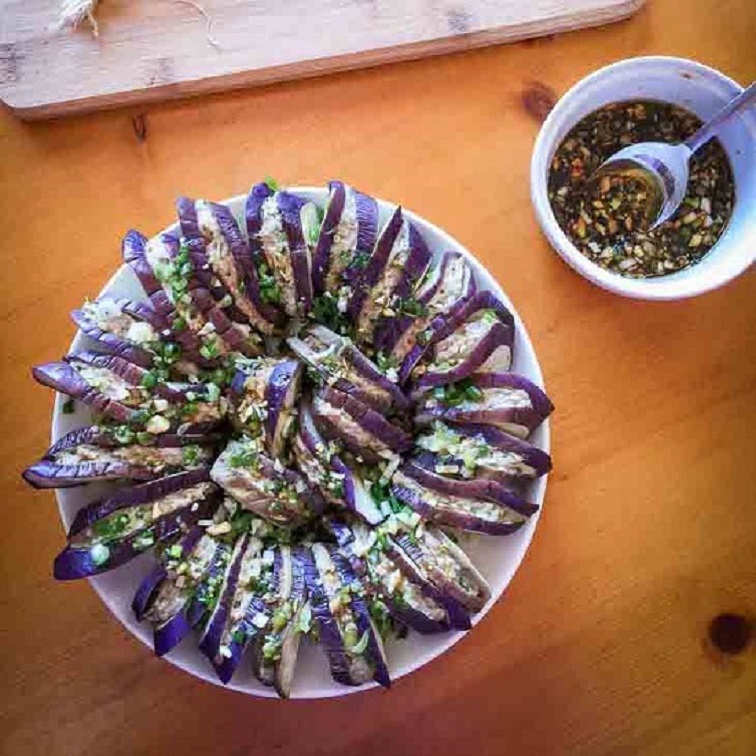 Serve the cooked eggplant burgers with the dipping sauce. You’d never have thought that Chinese cuisine would naturally produce delicious Keto burgers, but there it is! This has been one of my favorite dishes growing up in a Chinese household, and I’m really excited to finally share it with you.